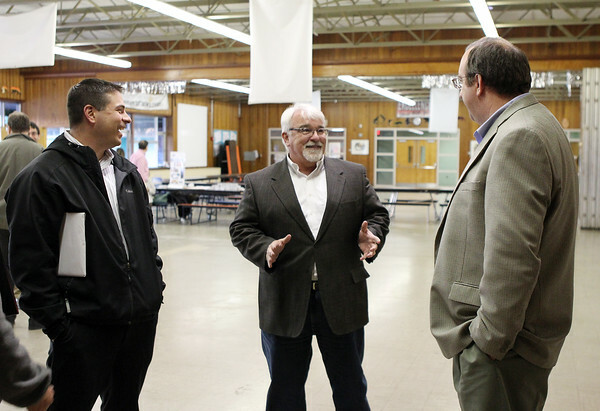 Jason Corbett, of California Paints, left, and Donald Kelley, President of Wayside Trailers, center, talk with Robert Gilchrist, Executive Manager of Agostini Bacon Construction at a vendor fair held at the Higgins Middle School in Peabody for businesses interested in selling their products and/or services to the general contractor who is building the new middle school. DAVID LE/Staff photo. 11/18/14.